Thanks! While on the subject of exotic, high-powered, NTRs, if it hasn't been brought up before, check out "Pulsed Nuclear Thermal Rocket" - not to be confused with Orion nuclear pulse propulsion - on Wikipedia. It's a concept for a TRIGA-like reactor that can run higher propellant temps (and therefore higher exhaust velocity and ISP) without vaporizing itself in the process because the neutrons heat propellant directly. It's also radiator intensive; you essentially have to flash cool it in between pulses. Highly amenable to trading ISP and thrust, so it would fit perfectly with KA and NFP. Unfortunately, it's a REALLY new concept and it's hard to find much material that isn't behind a subscription wall. Oh wow that is pretty recent. At first glace, I feel it shares similarities with the Zubrin nuclear salt water rocket, and fission fragment rocket. The 5m Cryotanks volumes seem to be off, comparing the CFG files of the 5m long, med to that of the 3.75m long, (mass, amount of LqdHydrogen, cost) are exactly the same. hope this helps, awesome mod, thanks for all your work. Good catch. I added an Issue in GitHub. I've noticed a small oversight, which is that the new 0.625m engine has the same thrust (and other engine stats) as the 1.25m trimodal one, 67 kN I think. Not that it isn't fabulously useful! Hmm. They also lack descriptions! Unfortunately, the mass of the Neptune got transcribed as well. The stats make the Eel an unrealistically tiny (but not light), more expensive, and slightly more powerful, co-generation capable LV-N. I was really looking forward to the lightweight NTR for smaller, unmanned craft and NASA "Peewee/SNRE"-based NTR Mars/Duna missions and would still like to see an engine with the stats noted in the post on 18 April. If there's a demand signal for a co-generation capable, non-trimodal LV-N (I'm actually all for it), I'd recommend a dedicated 1.25m engine part for that purpose. I put in an Issue on GitHub earlier. The stats posted earlier are close to correct. The mass is indeed in error. I'm familiar with it. Unfortunately, I think I'm done with new KA content for the foreseeable future. What was supposed to be the thrust? With everything you've added so far, I think that'll hold us over for a long time So many designs floating around in my head. Little confused, I'm using the NTRsUseLF patch and not using the ElectricalNTRs to keep things a little more simple. I've run into the issue that I don't seem to see how much cooling each engine needs in the part description at the VAB/SPH. 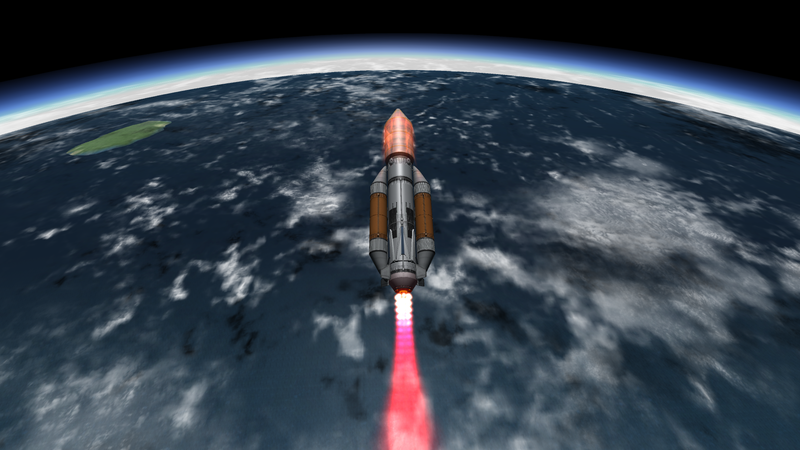 I want to use the new Aerospikes on an SSTO but they just sorta overheat and explode not to far into he flight. Somewhat important update with a lot of key fixes. So I'm not quite sure what Nert was going for balance-wise with the aerospikes ... but absolutely ridiculously awesome seems to be the order of the day. About 40% payload fraction is pretty insane. Insanely cool. Really only about 37-38% payload fraction though if you take advantage of the core stage RTLS (50% total launch cost recovery by saving the engine). Bit of a double post but that'll have to be fine. I noticed a small bug yesterday when building. The H250-16 hydrogen tank (hydrogen-25-3.cfg) displays the exact same model as the H250-64 (hydrogen-25-1.cfg) tank, despite only having a quarter the capacity. I suspect a slight exporting error. No biggie, since I rarely have need for a hydro tank that small. Can anyone else confirm, just as verification it isn't me? I'm aware of this, it's logged on git in the CE repo. It's.. fairly close to intended? I have nothing in my set of mods that's any good at launch so I need a kind of endgame launch engine. Small bug report on the new 5m cryo tanks. Their dry mass is set to only 3.6tons, which is equal to that of the long 3.75m tank. Presumably this is supposed to be a bit higher, since both 5m tanks are larger than the 3.75m tank. This also gives extra problems for the long 5m tank, since it contains so much hydrogen and is so light, that its dry mass actually goes negative when in pure hydrogen mode. Based on the dimensions of the tanks I've set the short 5m tank to 4.8tons and the long one to 9.6tons, which is a bit more balanced and solves the negative mass issue. No biggie, just to say. @Nertea, you are one of the best, Cheerz! Agreed. I kinda tire of the overly balanced parts in the mods I use. The space race should move on, giving us access to better and better gear (with some sort of balance, of course). But kinda lame when everything is .. you know, 500 ISP. Maybe I need to branch out into other mods, but most seem to be more cheaty than balanced but better, for my tastes. Anyway, my $2. I use Nertea's mods to break out of the rut and go onto interesting new options. They still feel balanced and a challenge, but a new challenge. Is the Zubrin saltwater rocket in this mod? If not, please make one! 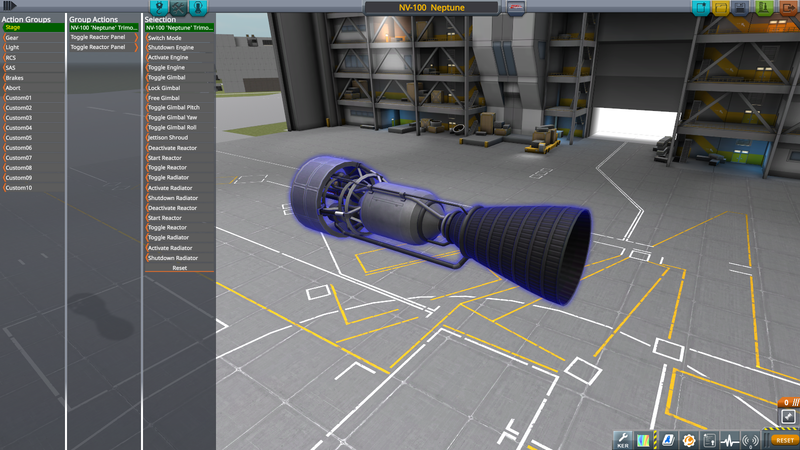 It's the only cool nuclear engine that was never made for KSP. It's in Far Future Tech, which is in development and not yet updated for KSP 1.3. Important update, fixing the dry mass of those LH2 tanks. Far Future Tech? I've not heard of this! Any more info? FFT is still on the development side, but follow that link and check it out. I remember there was a promise to make option to disable boiloff, but I don't see anything related in extras folder, am I missing something or such option wasn't implemented? Also, will boiloff apply to LH2 tanks from other mods? Like if I have a ship build with Near Future parts, will it start losing LH2 after I install Atomics? Hello again, Ok just updated to the latest patch on a new clean install of KSP with only this mod. The Hydrogen Cryo tanks seem to have a varying dry mass with regards to their corresponding fuels. Promise is a little strong. It's never been hard to disable, you can delete precisely two small config blocks and it's all gone. If a tank is affected by the CryoTanks patch it will have boiloff. How do you over come the engine heat from the Deliverance Aerospike engine? The Scylla doesn't seem to have an issue with it. I'd say same way as you would treat any engine's heat... work within the constraints, don't run it at full power constantly, add some fixed radiators to help dump heat if needed. People seem to build pretty effective launchers with it - I know I have and there's one by Capt Sierra just a bit above, so I don't think it's too much heat. i like your mods a lot but i handle it over ckan. at the moment i can't install kerbalatomics or cryoengines because it has a dependency to cryotanks and the version avaiable at ckan is 0.3.5 for ksp 1.2.2 and will crash during loading. I don't know if it is your task but it looks like that cryotanks is now part of kerbalatomics but this dependency didn't change in ckan. so how to fix it that i can play with cryoengines and kerbalatomics and install it over ckan?